This is one that I hadn’t made in a while but when I made again it was a hit. It is fairly easy to make. I choose to make it without canned cream soup, which takes a few extra minutes but is worth it. I season about one pound of boneless skinless chicken breast with a bit of onion power, garlic powder, salt and pepper. Cook in non-stick skillet or with a enough oil to keep it from sticking. Cool enough after cooked to slice into thin pieces and then cut slices into bite sized pieces (the smaller the pieces the more it is spread throughout the casserole). While the chicken in out of the pan, melt 5 tablespoons of butter in it. When melted add 5 tablespoons of flour to it and stir with a whisk, when fully combined, slowly whisk in one and a half cups of milk. Add the cut chicken and 2 cans green chilies (I puree my green chilis). 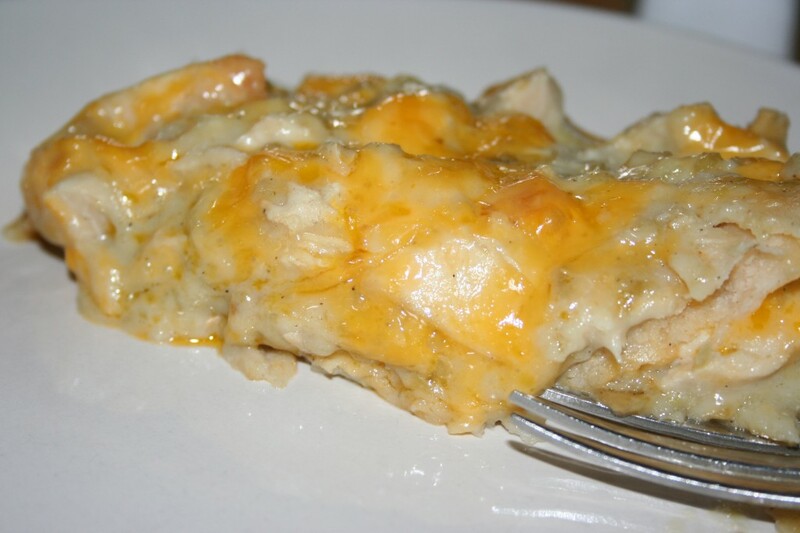 Layer six corn tortillas, half the chicken mixture, and 4 ounces shredded cheddar in a 9×13 pan. Repeat layers a second time. I used extra sharp cheddar and it was way sharper than I like so we used only 4 ounces of cheese total. I prefer mild cheddar or colby jack. 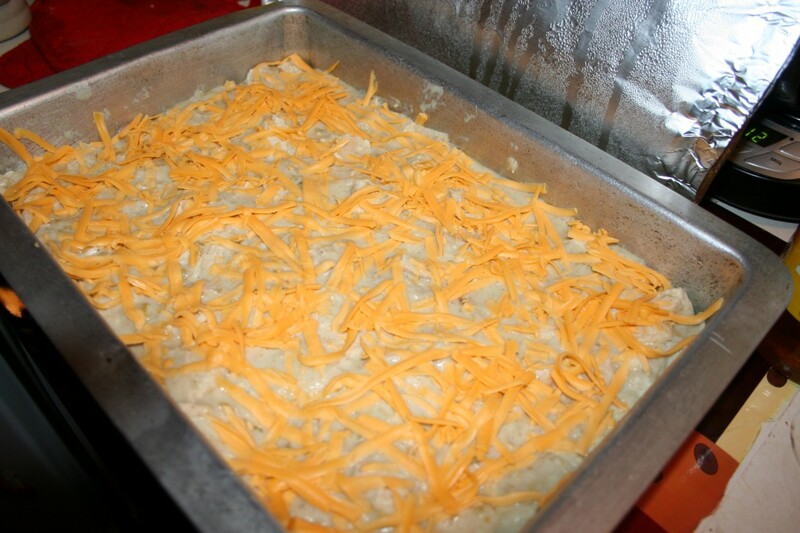 Bake 350º for about 35 minutes or until cheese is melted and bubbly. Whisk in flour, until thoroughly combined. Whisk in 1 1/2 cups milk. Stir until thickened. Add chicken and green chilies. Layer 6 of the tortillas in the bottom of a greased 9 x 13 pan. Add half chicken mixture and half the cheese. Bake 350º for 35 minutes or until cheese is melted and dish is hot and bubbly.